Looking forward to a long, hot summer? So are we – and there’s nothing better to get you in the mood for everyone’s favourite time of year than laying the table, ready to enjoy some of the tasty seasonal morsels on offer. 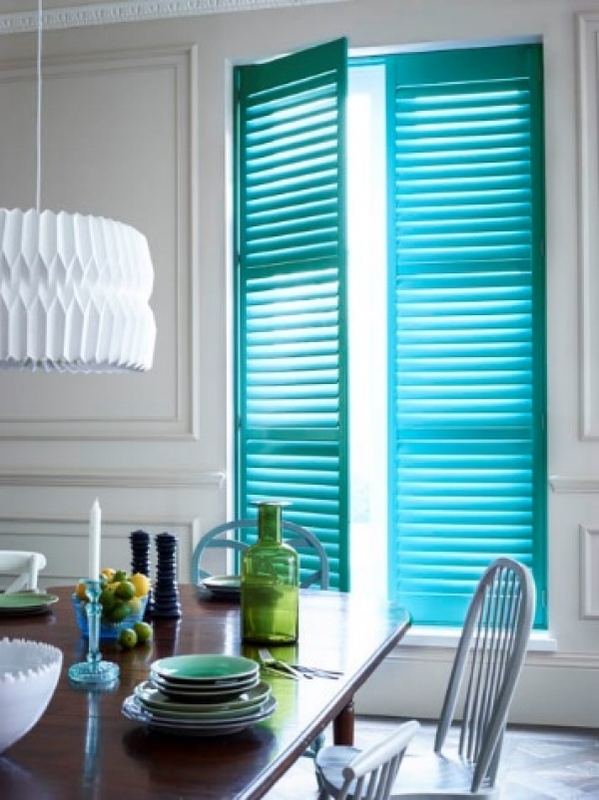 Liven up your summer dining experience by embracing a wide range of dazzling summer hues, such as the vibrant Turquoise seen in these shutters, which really set the tone for a summer party. A fun, bright and poppy colour, this energetic shade is the perfect way to refresh your home in time for the warm months ahead – and with Shutterly Fabulous’ colour-matching service, you’ll be able to add a truly unique focal point that will ‘wow’ visitors to your home. Incorporate into your dining spaces by accessorising with other rich and rejuvenating jewel tones in similar blue and green hues, to provide the perfect backdrop to a summer of relaxing, entertaining and enjoying your home.